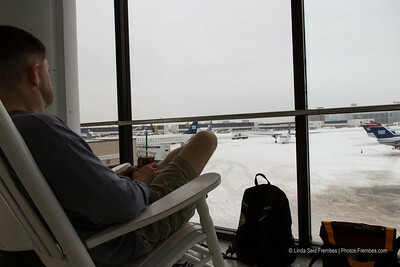 At the airport, people kept asking us if we were headed on a vacation. 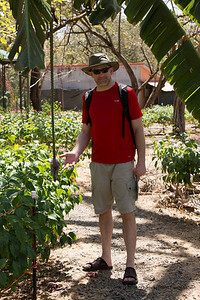 Hmmm, was it that obvious with the shorts in the middle of winter? 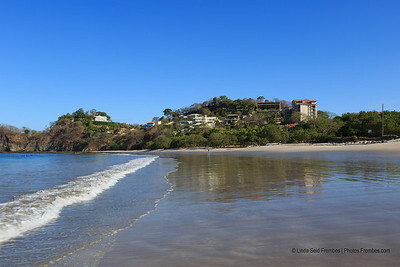 After a long travel day (one big delay, two layovers, and an hour's drive from the airport once we landed), it was fantastic to wake up to this view on Playa Flamingo, one of the many beaches on the Pacific coast of Costa Rica. 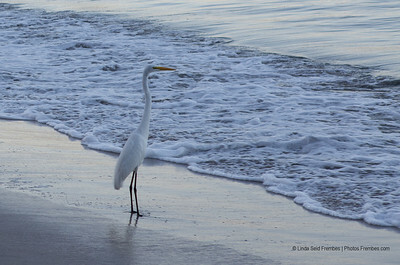 A crane on the beach at dawn in Playa Flamingo. 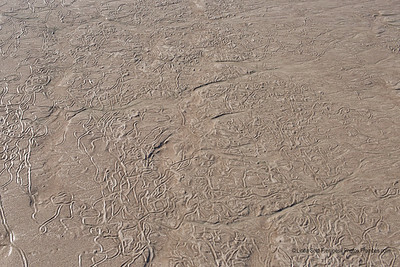 The water made crazy shapes in the sand on Playa Flamingo. 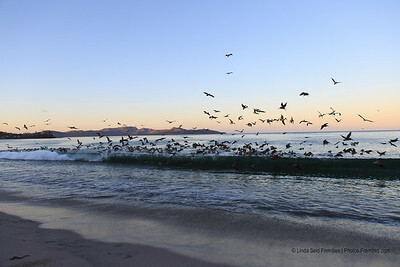 A morning walk on the beach in Playa Flamingo. 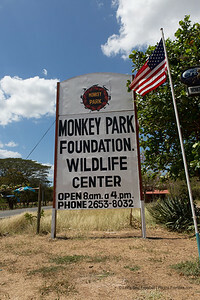 On the way out to Arenal from Flamingo, we stopped at a wildlife rescue center called Monkey Park in Portegolpe, Guanacaste. 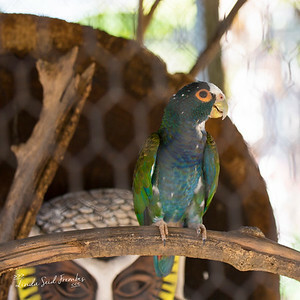 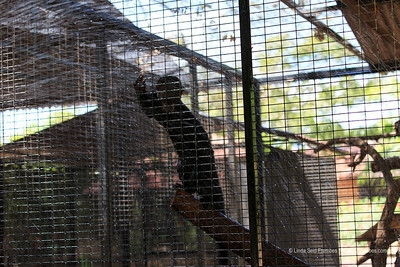 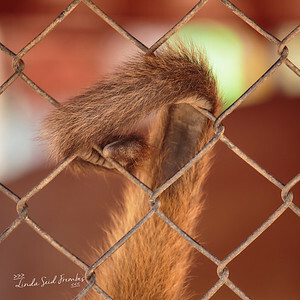 They rescue all types of wildlife for rehabilitation with the eventual goal of releasing them back into the wild. 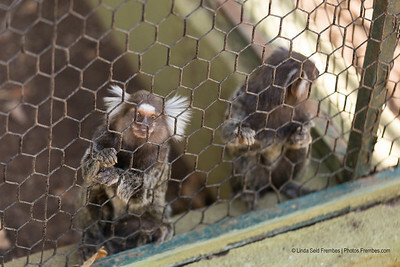 These marmosets at Monkey Park were hilarious. 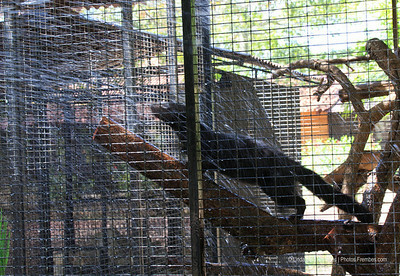 The one on the left would not stop gnawing at the cage. 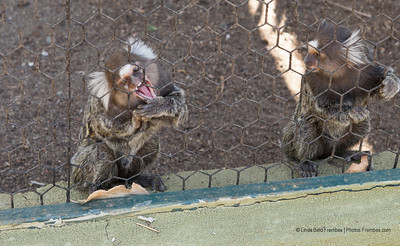 The facial expression on the one on the right says it all. 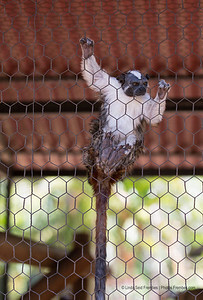 A rather intense looking monkey at Monkey Park. 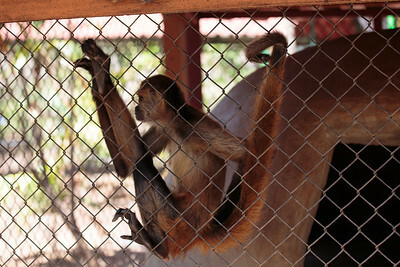 This spider monkey at Monkey Park was one of my favorites. 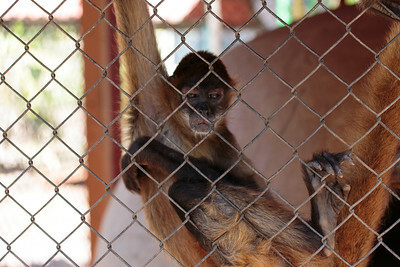 He kept posing like a supermodel. 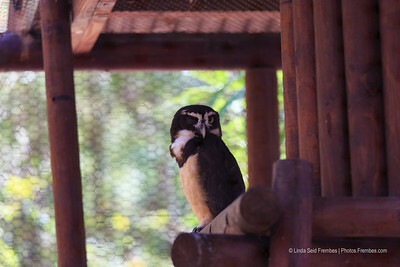 An owl at Monkey Park. 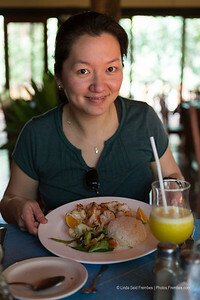 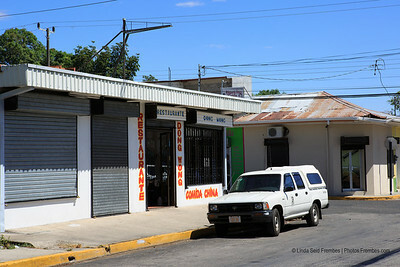 We found this Chinese restaurant during a brief pit stop in Liberia. 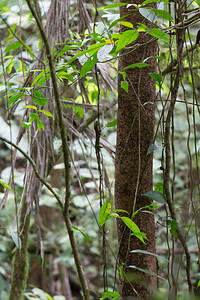 Go, Dong Wong. 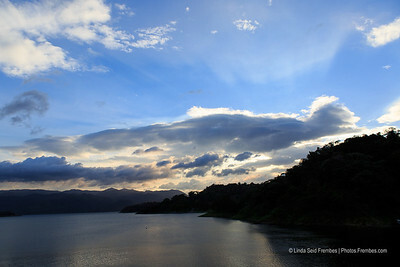 Clouds over Lake Arenal, as seen on our drive from the Pacific coast inland towards the Arenal region. 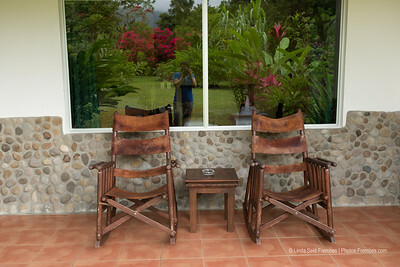 Our back porch at Volcano Lodge in Arenal. 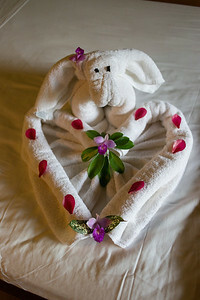 Our housekeeper made us the most lovely towel animals during our stay at Volcano Lodge in Arenal. 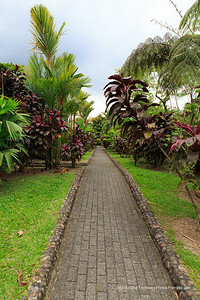 The path to/from our room at Volcano Lodge in Arenal. 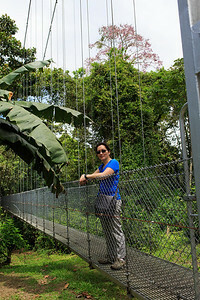 At the beginning of the hanging bridge walk at Arenal Hanging Bridges. 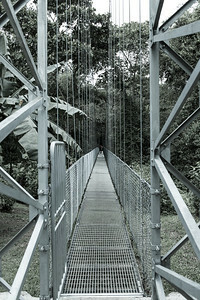 A hanging bridge at Arenal Hanging Bridges. 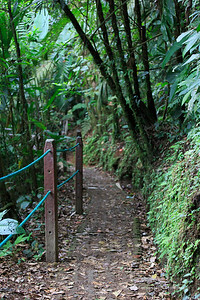 A walking path at Arenal Hanging Bridges. 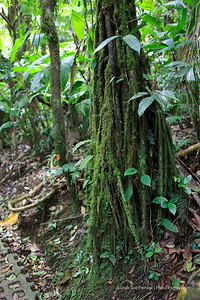 Tree roots - during our walk at Arenal Hanging Bridges. 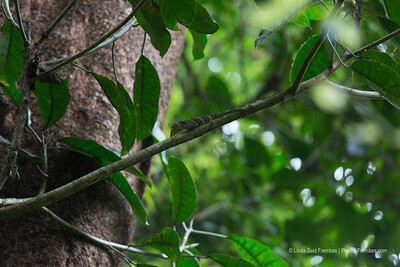 A lizard during our walk at Arenal Hanging Bridges. 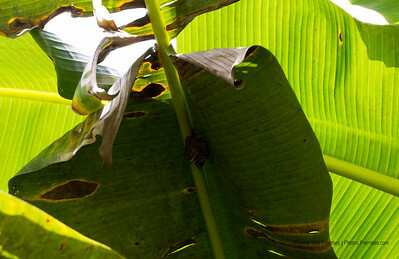 A fruit bat hanging under a leaf at Arenal Hanging Bridges. 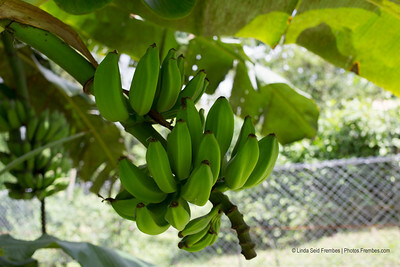 Square bananas, edible only if they're cooked, at Arenal Hanging Bridges.